This is such a wonderful light salad. As the summer wanes and autumn slowly comes to life, the weather in San Francisco really starts to warm up. With this beautiful weather tempting each afternoons, all I want to do is pack a light lunch or picnic and enjoy the sun for as long as I can! This salad is perfect for that. It is so delicious and filled with fresh vegetables from the farmers market. It has become a tradition that every Sunday I visit the famers market in search of something unique and in season to buy. Yesterday I discovered Lemon Cucumbers. They are a small round, yellow version of the classic green cucumber. They are found towards the end of the summer and are most ripe when a yellow/orange color emerges. They add such a lovely crunch and refreshing taste to any dish. I decided the best way to savor these gems was in a quinoa salad. The fluffy quinoa is a wonderful base to the salad and blends perfectly with the lemon cucumbers, slices of zucchini from my family’s garden, juicy cherry tomatoes, and sweet red onion. But what makes this dish is the creamy macadamia nuts that are scattered throughout! They add the perfect amount of crunch and nutty flavor. The salad is topped off with a drizzle of fresh lemon juice, olive oil and a little honey. I’ve made this dish for my family of meat eaters and they loved it and actually asked for seconds! It is so light, flavorful, and you won’t feel guilt about eating half this salad, as it is a great source of protein! Quinoa is one of my favorite grains since it keeps you full and is very easy to digest. It is also the only grain that has all 9 essential amino acids, which can only be found in foods! Because of this, it makes for a complete protein and a great substitute to any meat dish! 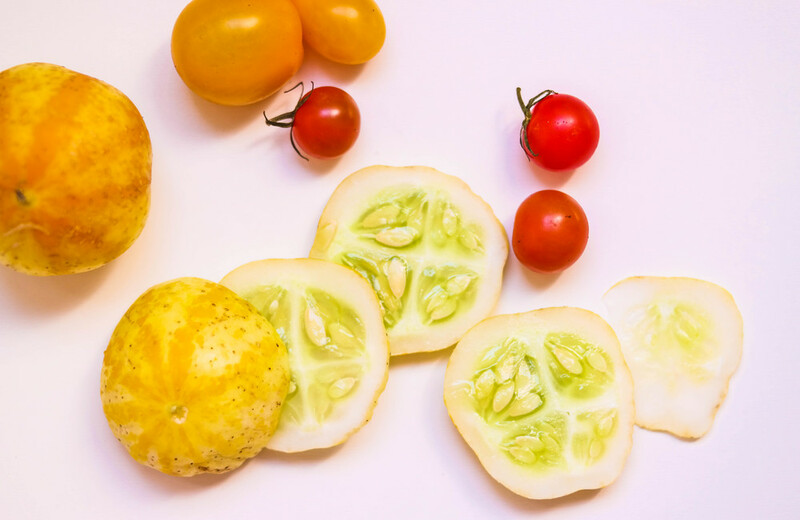 Lemon cucumbers are also a great addition to any salad on a warm sunny day since they are nearly 95% water. They will help keep you hydrated, which is important for flushing toxins out of your body. This along with high amounts vitamins A, B, and C will keep your skin looking fresh, hydrated and glowing! 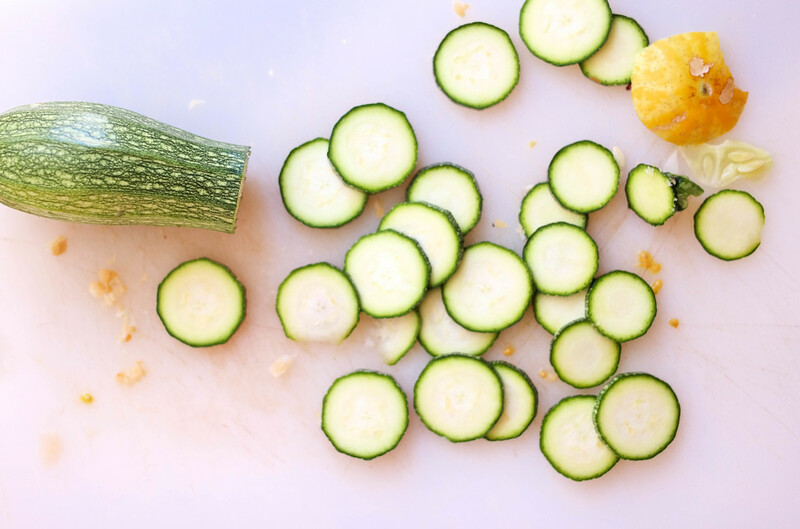 The lemon cucumbers can also be enjoyed on their own or with a side of hummus, adding even more protein to your diet. Start by preparing the quinoa. As you boil 2 cups of water, add 1 cup of rinsed quinoa, coconut oil and a teaspoon of salt to the water. Let the quinoa cook for 15-20 minutes until all the water is absorbed. In the meantime, thinly slice the red onion, zucchini, lemon cucumbers, and dice the cherry tomatoes. Then simply chop the macadamia nuts and add to the mix. Once the quinoa is completely absorbed, add it to the chopped vegetables and mix well. Then stir in the salad dressing and mix once more. Enjoy!